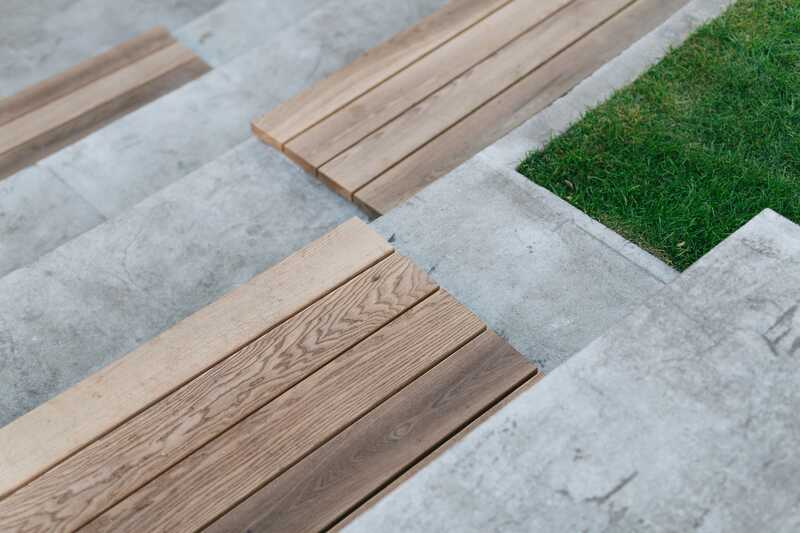 Thanks Djao Rakitine Landscape Architecture for authorizing the publication of the project on mooool, Text description provided by Djao Rakitine Landscape Architecture. 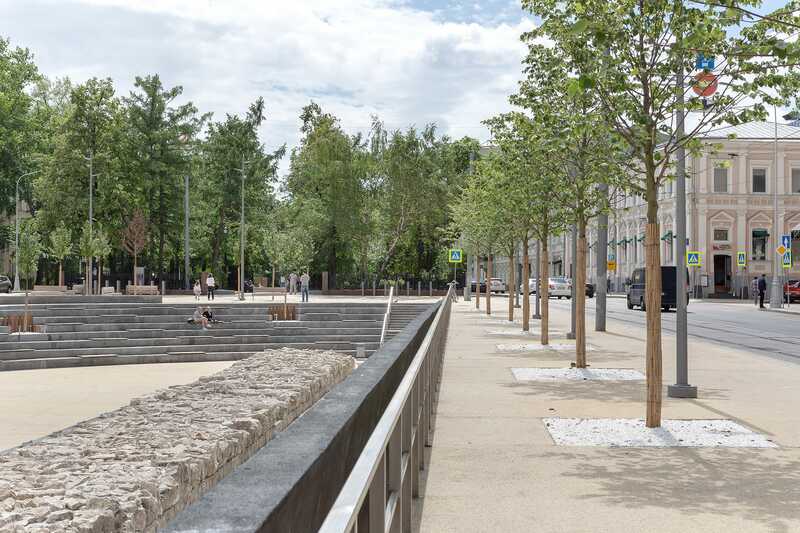 Djao Rakitine Landscape Architecture：As part of the wider regeneration project for the historical Boulevard Ring in Moscow, Djao-Rakitine has been commissioned to develop the design of a new city square. 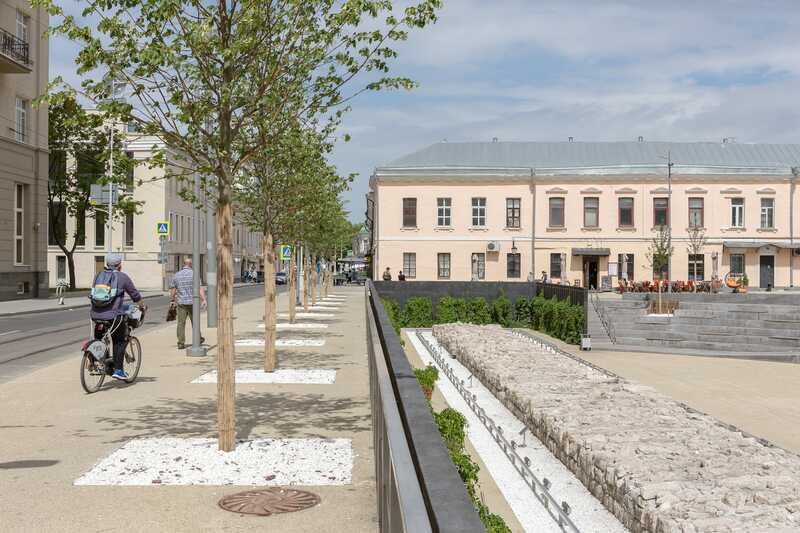 An exceptional opportunity to provide a new type of open space for Moscow was given by the presence of archaeological remains of the Belgorodskaya Wall (or White Wall) that used to surround the old Moscow (Bely Gorod). The proposed design uses this historic element to create a dynamic and central feature for the area. The design aims to reveal the former presence of the White Wall and to create a visual continuity with the linear promenade of the Boulevard Ring. A retaining wall parallel to the adjacent street provides a balcony overlooking the archaeological feature. 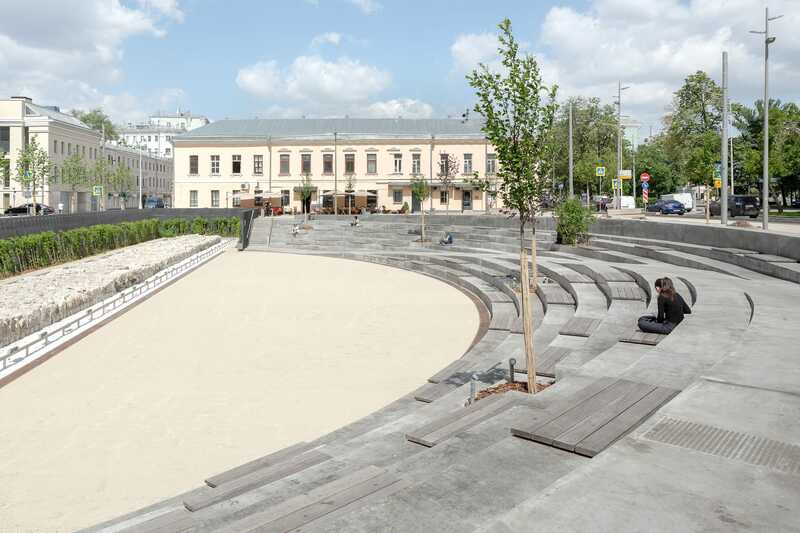 Incorporating the constraint of an existing level change on site, a curved amphitheatre has been created to connects the lower level of the historical wall to the level of the street. The amphitheatre steps maximise the accessibility and visibility of the white wall and offers a place where people can sit and meet. This arrangement naturally provides a stage and a place to organise temporary events. 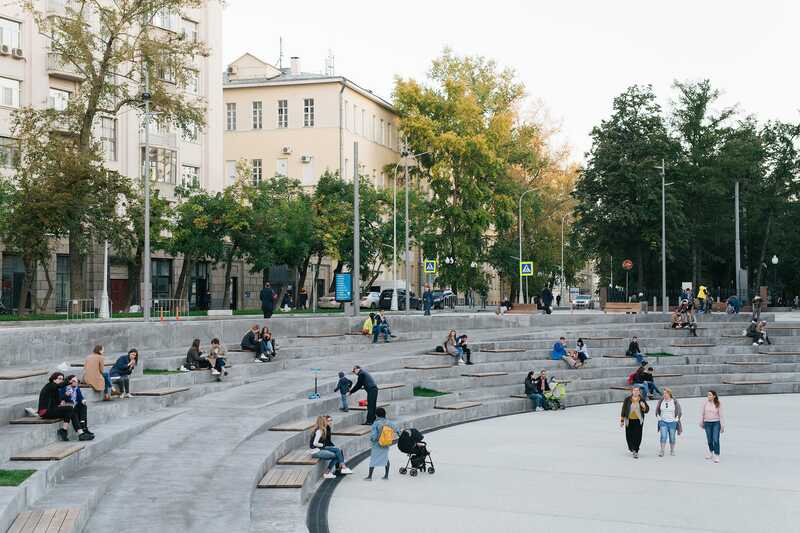 Khokhlovskaya Square has been awarded by the MUF (Moscow Urban Forum) in the Best Urban Design category. Khokhloskaya square is part of “My street” program by Strelka KB. The program received the ISOCARP Grand Award 2018.